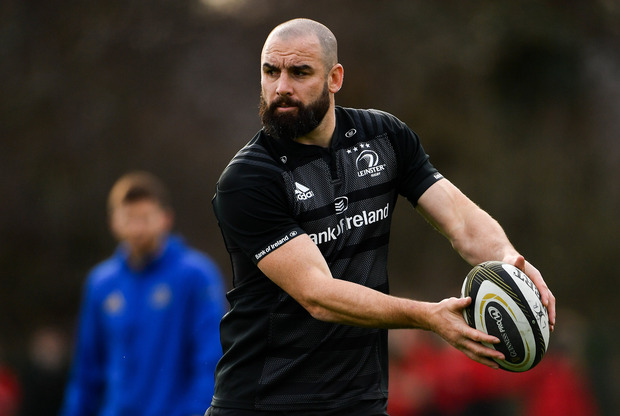 Leinster have been handed a major boost after Scott Fardy signed a one-year contract extension that will see him remain with the club for next season. Fardy had attracted interest from overseas clubs, including Japan where presumably his salary would have significantly increased, but the influential Australian rejected other advances in favour of staying with Leinster. The 34-year old has been an outstanding signing since he arrived from the Brumbies in 2017 and recently became a father to his son (August), who was born in Dublin. A hugely popular figure amongst the squad, the 39-times capped Wallaby has had a massive impact on the younger players, particularly during the international windows. "I’ve re-signed so I’ll be going again for another year," Fardy said. "I made that decision a while ago, just things had to get sorted out. I’m really happy to be here for another year and continue to go after trophies. "We’re enjoying it, my wife’s settled in well and the young fella’s growing up pretty quickly. We’re enjoying our time here in Dublin. "With the squad you’ve got and the leaders here and the staff as well, no one’s really selling you anything. With the senior players and junior players here, it’s easy to get caught up and enjoy your rugby." In further good news for Leinster, Rhys Ruddock has stepped up his recovery from a hamstring injury and could return against the Cheetahs at the RDS on Friday night. Dan Leavy (calf), Luke McGrath (knee), Joe Tomane (hamstring), Will Connors (ACL) and Nick McCarthy (foot) will all increase their load in training this week but are still unavailable for selection. Devin Toner is still recovering from ankle surgery and he remains in a major race against time to be fit for next month's Champions Cup quarter-final against Ulster.